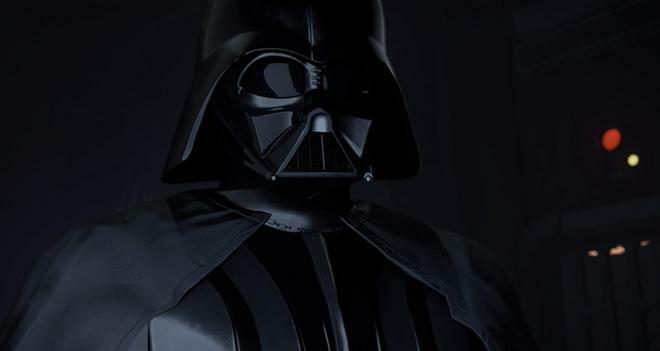 Darth Vader is heading to Oculus' new VR system. ILMxLAB -- Lucasfilm's immersive entertainment division -- has released a new trailer for Vader Immortal: A Star Wars VR Series. The upcoming three-part virtual reality series is set to debut on the Oculus Quest VR platform later this spring. "Oculus Quest unlocks new ways to create. It shifts the design paradigm by freeing creators from certain constraints, and the untethered form factor was one of the key reasons we partnered with the ILMxLAB team on this project" said Colum Slevin, Head of Media, AR/VR Experiences Group at Oculus. "What makes Vader Immortal so exciting is that this kind of story, this kind of moment in the Star Wars canon, can only happen in VR. You’ll see what I mean the moment you fire up a lightsaber and wield it in your hands." The VR series allows users to step into the role of a smuggler working near Mustafar, the lava-planet home of Darth Vader (as previously seen in Rogue One: A Star Wars Story). Fans will get to interact with Vader and wield a lightsaber throughout the story. The first episode runs about 45-60 minutes long depending on the decisions users make during the experience. And in addition to the narrative mode, the release will also include a Lightsaber Dojo for open-ended lightsaber play. The voice cast includes Scott Lawrence (Star Wars Resistance, Battlefront II) as Darth Vader and actress May Rudolph (The Good Place, Bridesmaids) as a quick-witted droid co-pilot named ZOE3. Meanwhile, David S. Goyer (The Dark Knight, Secrets of the Empire) is on board as the writer and executive produce. "Much in the way Alan Tudyk did with K-2SO, we needed somebody for this role that could create a unique character using their improvisation and performance skills," said David Goyer. "Maya truly was the first person we thought of, right from the very beginning, and her contributions and sense of humor have guided ZOE3 every step of the way." Vader Immortal: A Star Wars VR Series will be a launch title for the Oculus Quest. The upcoming all-in-one VR headset features six degrees of freedom and Touch controllers, and does not require a separate PC, wires, or any external sensors. Under the hood, the Oculus Quest uses the same optics as the Oculus Go with a display resolution of 1600x1440 per eye. Likewise, the system offers upgraded built-in audio with deeper bass. Meanwhile, the unit's new Oculus Insight technology is able to track a user's position in real time through the use of four integrated ultra wide-angle sensors and computer vision algorithms. Finally, the included Touch Controllers let players interact naturally with the VR worlds around them. The Oculus Quest is set to arrive in Spring 2019 for an MSRP of $399. Vader Immortal: A Star Wars VR Series will also be available on the Oculus Rift family of headsets, including the Rift S.